1979 Cinzano Bianco advert featuring Leonard Rossiter & Joan Collins. Cinzano vermouths date back to 1757 and the Turin herbal shop of two brothers, Giovanni Giacomo and Carlo Stefano Cinzano, who created a new “vermouth rosso” (red vermouth) using “aromatic plants from the Italian Alps in a [still-secret] recipe combining 35 ingredients (including marjoram, thyme and [a species of Achillea called] musk yarrow)”. What became known as the “vermouth of Turin” proved popular with the bourgeoisie of Turin and, later, Casanova. Cinzano Bianco followed, based on a different combination of herbs that included artemisia (wormwood), cinnamon, cloves, citrus andgentian; it was followed by an Extra Dry version. Exports began in the 1890s, to Argentina, Brazil and the USA, among others. 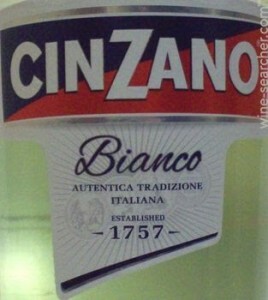 InParis in 1912, Cinzano was the first product to be advertised with a neon sign.